Making your pantry pretty requires organization and continuity. When the storage space features mismatched containers and a variety of cardboard boxes, it will look cluttered and messy. Avoid this with one or more of these 10+ ways to make your pantry picture-perfect. 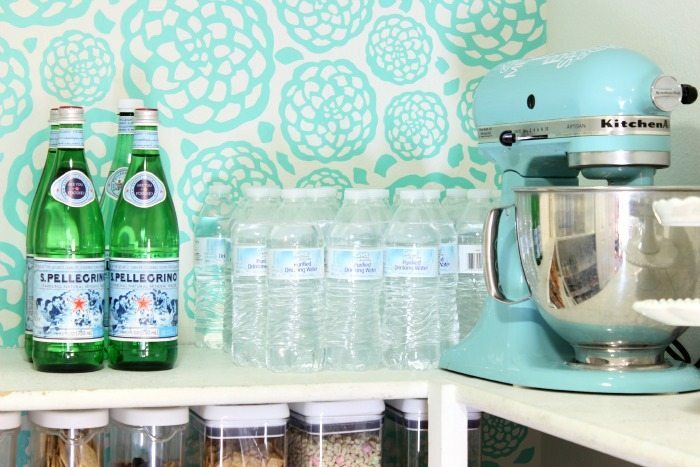 If your pantry is dark and dull, add wallpaper to the space. A pattern with light colors is a sure fire way to brighten it. 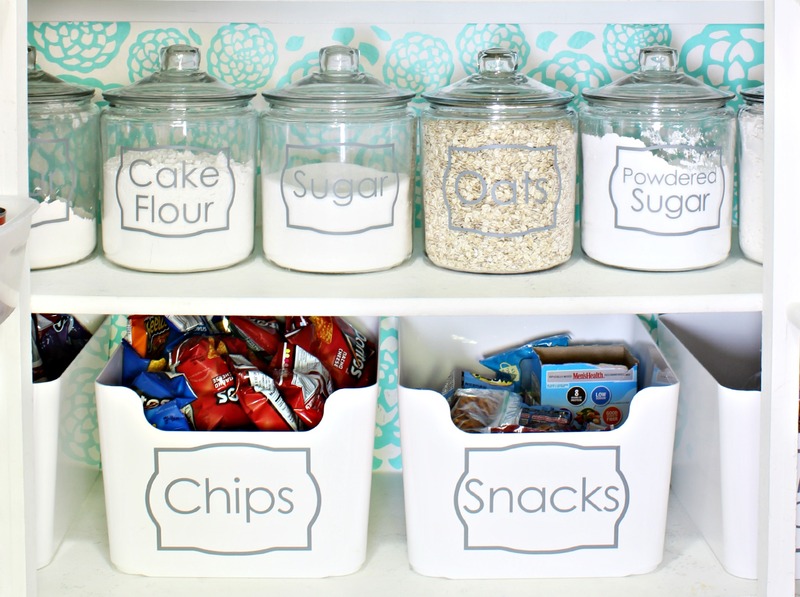 Storage containers come in all shapes and sizes for the pantry. You can purchase them for loose items or for food that’s in its own container. When you store your fancy glassware on the top shelf of the pantry, it serves a dual purpose. You’re not only storing it in an out of the way place, but you’re also turning it into a pretty decoration, making your pantry picture-perfect. Be sure to label your containers. 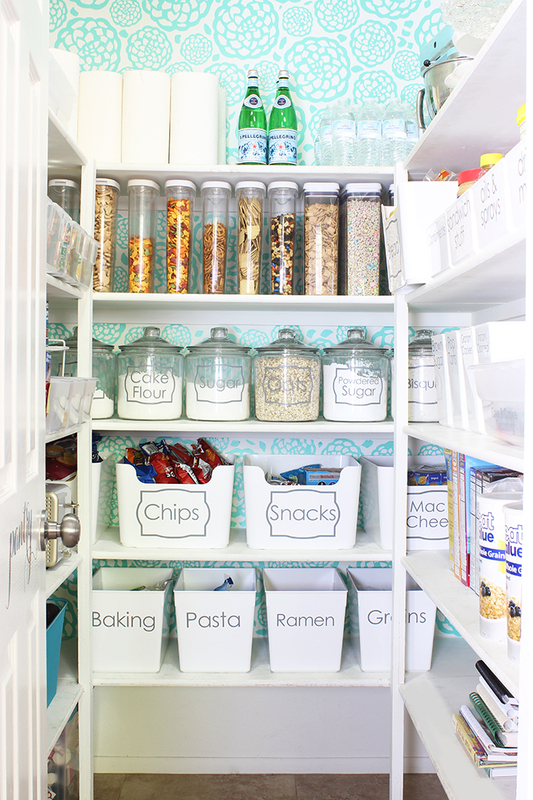 This step will give your pantry an organized look. It will also make it easy to put stuff away. Check out the labeling options that are available from Label Your Stuff. Sort your pantry by type to make it picture-perfect and user-friendly. It is much quicker to make a particular dish or lunches for your kids if everything you need to complete these tasks are in one place. If your pantry lacks shelf space, make some yourself with pegboard storage. You can use this kind of storage to hold small kitchen items that you may have trouble finding when you need it. Pantries often look cluttered and messy because of miscellaneous items like plastic grocery sacks and Ziploc bags. Purchase reusable tissue containers to hold them. These containers also make these items readily accessible. While pantries are utilitarian, there’s no reason why you can’t make yours look pretty. Do so by adding a touch of glam. Paint the inside of your pantry a fun color or glue ribbon along the edges. If space is tight, then use the pantry door. Add slim shelves by installing thin wood pieces and tension rods to this section of your pantry. The space is perfect for spices and unopened condiments. It will also make your pantry picture-perfect by giving you a defined storage area. 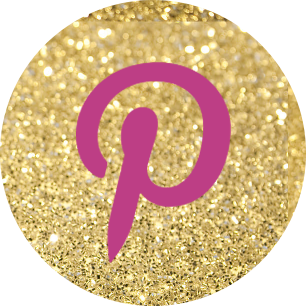 If you need new spices, then be sure to check out Piquant Post. The site will send you a sample box of spices from a different region every month. When it comes to pantries, using the corners effectively can be tricky. 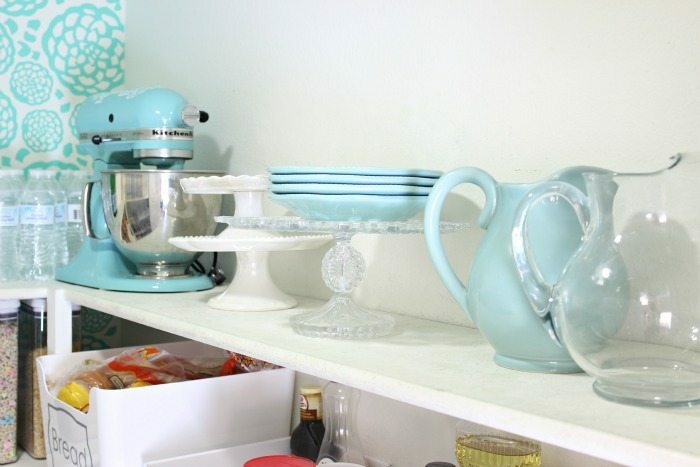 Embrace corners by storing small appliances in the area. The corner is perfect for mixers, blenders and instant pots. If you have a little extra space on the pantry door, install hanging wire baskets. These will give you more storage space. In fact, you may be able to store cans, oils and even cereals in them. Wicker baskets are affordable, and they present a streamlined appearance. 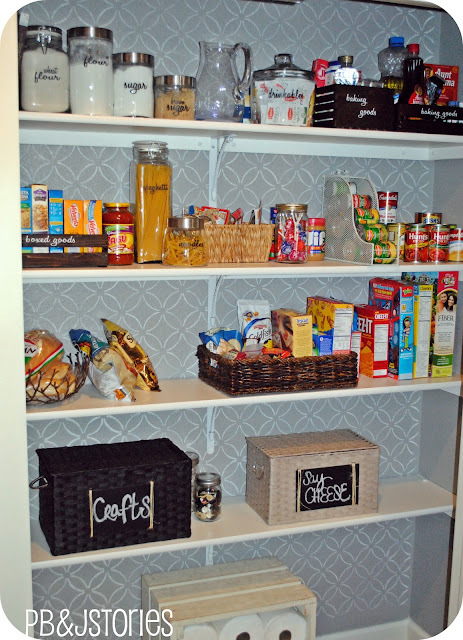 When you add wicker baskets into your pantry, you’re also increasing the amount of storage space that’s available. Suggestions one, two, three and four are from Classy Clutter. 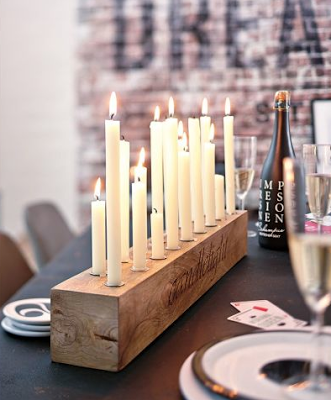 We came across recommendations five, six, seven and eight from Brit+Co. Country Living is where we found ideas nine, 10, 11 and 12. Make Your Own Lampshades: Here’s How!